Enjoy constant and reliable refrigeration in your kitchen with the large capacity graphite Samsung RB31FDRNDSA/EU Fridge Freezer, which includes a cooled water dispenser. Store your fresh food safely in the large RB31FDRNDSA/EU. The fridge offers an impressive 210 litres of space with four easy slide adjustable tempered glass shelves so that you can easily store your food. It also features an easy slide shelf. This is built on rolling hinges and pulls out, so you can efficiently organize and easily access your food items – and see exactly what you have stored in the back. There's ample space for fresh fruit, vegetables and eggs thanks to the salad crisper and egg rack, and the dairy compartment is ideal for products such as butter and cheese. Chilling bottles and cans is a breeze as this fridge freezer has a wine rack, bottle rack and a can rack. Multi Flow Cooling vents provide rapid cooling and keep the temperature even throughout the fridge. On top of this, anti-bacterial protection helps to prevent the growth of potentially harmful bacteria. The RB31FDRNDSA/EU also offers a large frozen storage space, 98 litres in total, which is ideal for storing frozen food for your family. There are three clear-fronted drawers that make it easy to see what you have in the 4-star freezer. 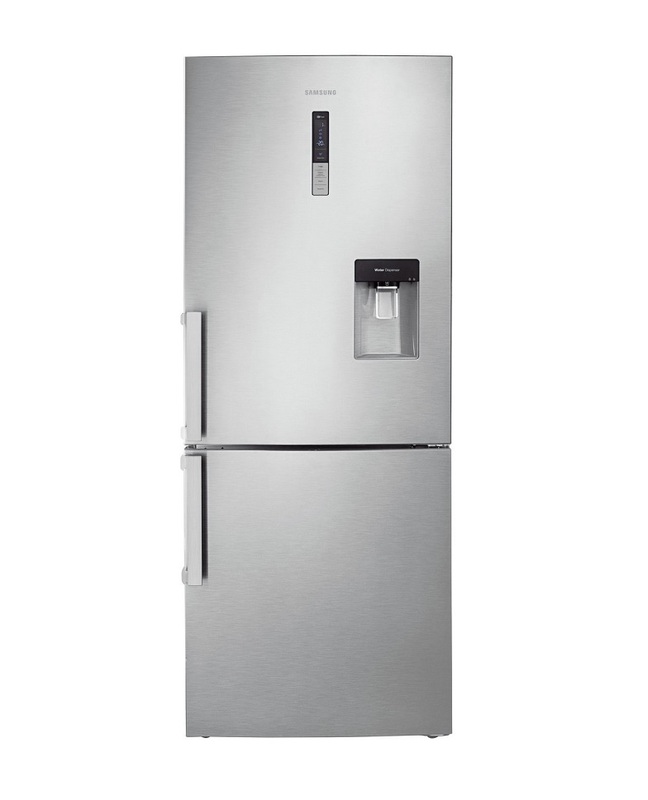 Acting as a time-saver, the RB31FDRNDSA/EU Fridge Freezer features Samsung's No Frost system. This maintains a constant temperature in every corner of the refrigerator, keeping perishable food fresh nutritious and eliminating frost and the build-up of ice. Its improved efficiency places less demand on the cooling system, increasing its durability, and avoids the need to waste power on defrosting. There's no need to worry if the power fails as this freezer can keep your food safely frozen for up to 20 hours. You can enjoy a cool drink of water whenever you like as the RB31FDRNDSA/EU includes a chilled water dispenser. There is no need to plumb it in, as it includes a 4.5 litre water tank. The energy efficient top LED brilliantly illuminates the entire refrigerator interior to help you clearly see your food. So you can find items easier and don't have to keep the door open as long – saving both time and energy. External display - For complete control at your fingertips.